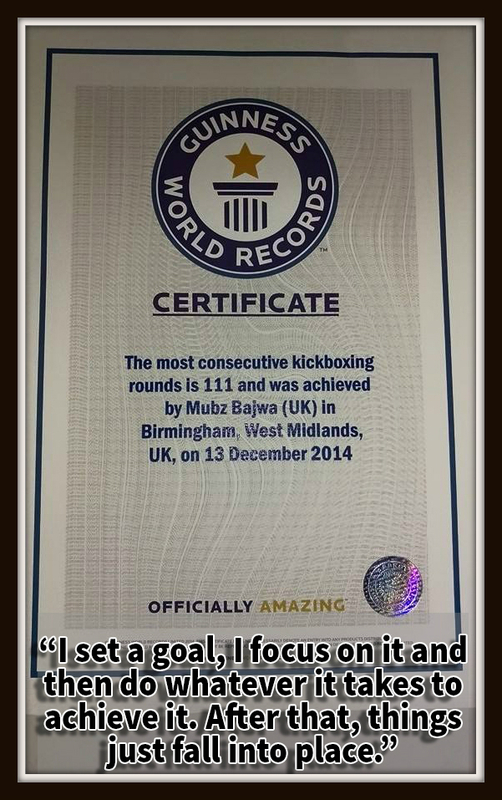 Mubz Bajwa, a British-Pakistani Muay Thai Fighter, is famous for his endurance accomplishments including Guinness World Record of 111 full contact consecutive kickboxing rounds which he did for charity. He also did 4 hours of bag work while fasting in the month of Ramzan for the charity again. With the announcement of new fight promotion Redemption International Fight Night (in collaboration with K7), it was announced that Mubz will be fighting Sing Noi in their main event on December 12, 2015. PAK MMA did an up close interview with Mubz related to his fighting experience and his upcoming fight. From which area of Pakistan do you actually belong and where were you brought up? Born & bred in the UK. From Chauk Munda (just outside Multan) in Pakistan. Which is the first style of martial arts you trained in? Did a little Karate when I was 10 but the first martial art I took seriously was Muay Thai. 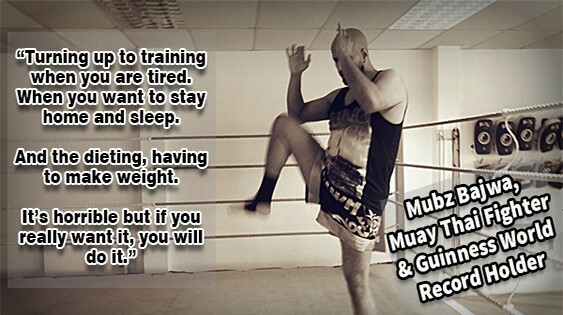 Why you choose Muay Thai over other combat sports? It’s the simplicity and raw power of it that I love. As a fighter, what are the challenges you have to face? Turning up to training when you are tired. When you want to stay home and sleep. And the dieting, having to make weight. It’s horrible but if you really want it, you will do it. What sets you apart from all the other fighters? Not sure that there is anything that “sets me apart or makes me special”. Anyone who steps in there at any level has that certain something about them. You are putting your life on the line when you fight. Anything can happen. Knowing all the dangers involved and still choosing to compete takes a certain type of person and all deserve respect. Do you have to follow a strict diet as an athlete and what are your feelings on supplements? Yes, I have to be very strict with diet. I’ve always had problems with weight; I put on alot of weight if I don’t watch what I eat. It’s horrible, I hate it but it’s something I have to do to achieve my goals. Supplements are essential to a good diet but you have to know what you are doing. You have made a world record of consecutive 111 rounds of Muay Thai sparring and did 4 hours of bag work while fasting. How were you able to do such hard tasks? If I had the answer to that, I’d put it in a bottle and make millions, LOL. To be honest, I set a goal, I focus on it and then do whatever it takes to achieve it. After that, things just fall into place. Who have been some of your biggest inspirations in Martial Arts over the years and why? What is your favorite strike to use in any fight? No favorite in particular but I do tend to throw that head kick alot. You have taken a break from fighting for some time. Why have you agreed to fight again? The break wasn’t by choice. I was injured, hence no more fights. When I got the all clear I started doing charity events. Fighting again was always in the back of my mind but not something I took seriously, just a thought at the back of my mind. Only something that really excited me would get me back in there. You have always fought in England. Why you accepted to fight in Pakistan? Yes, only fought in the UK previously. The fight in Pakistan was offered to me and it’s something I had to think about. 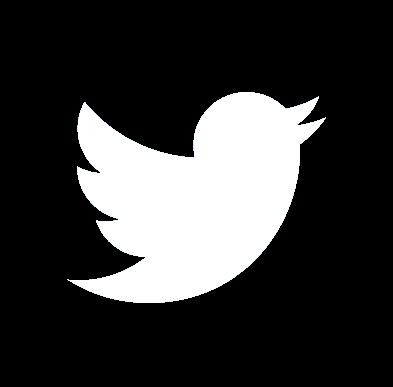 I’d been out for so long and coming back on such a large platform would not be easy. At the same time it was exciting. To go back to my country of origin and to promote a sport that has helped me and been such a big part of my life was an offer I couldn’t say no to. You have a fight coming up soon. How are you preparing for it? No other way to prep for this except hard hard work. I was told by my trainer “we got to be ready for 5 rounds of WAR”. So that’s what we are prepping for. Can you tell us about your opponent (his strength, weaknesses) and what is your plan to defeat him? He’s a Thai, from what I understand he’s had something like a 100 fights, which is normal for a Thai, they start very young. He will be good in all aspects but we have a game plan that we are working on, can’t say to much more than that. LOL! If all sense of reality was put on hold and I wouldn’t get murdered then Mike Tyson or Mohammed Ali. Just because they are such icons. What do you want to be remembered for at the end of your fighting career? Greater fighters then me have come and gone. Unfortunately bar a few, all are forgotten, it’s just the way it is. There is always someone new and exciting to watch. What does PAK MMA feel to you? What future of Combat Sports do you see in Pakistan? 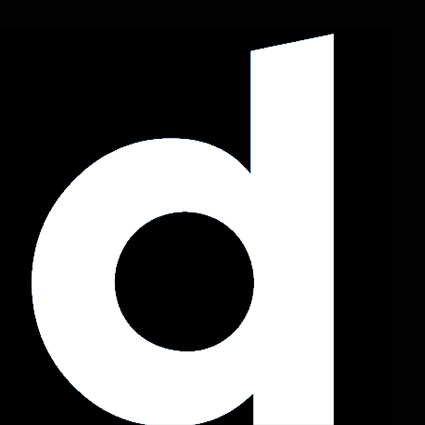 There are a number of organizations in Pakistan now. Combat sports such as MMA, Muay Thai are growing out there. With the Redemption organization in conjunction with K7 gym in Karachi putting on one of the biggest fight nights ever held in the country, I can only see combat sports getting bigger out there. What message would you like to give to other aspiring fighters? Just train hard and don’t lose sight of your goals. Don’t listen to anyone that says “you can’t do this or you can’t do that”. 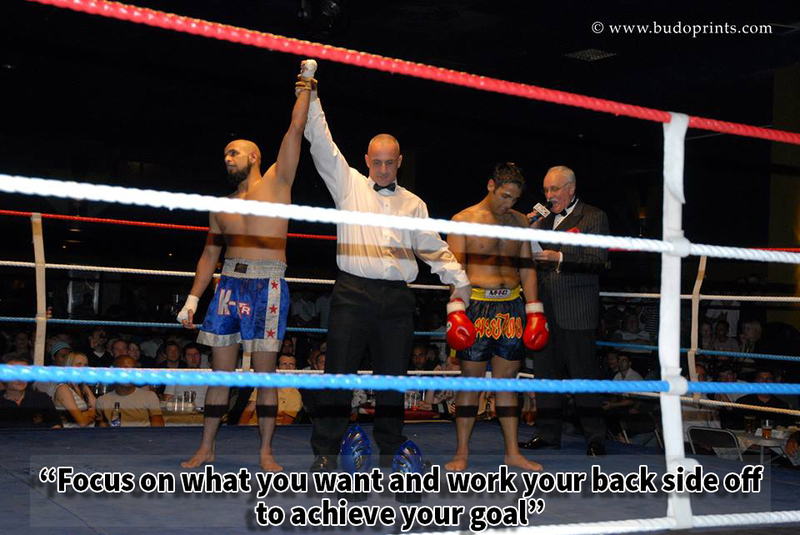 Focus on what you want and work your back side off to achieve your goal !! !